Part 1 What are 3GP and 3G2? 3GP is a multimedia container format developed by the Third Generation Partnership Project (3GPP) for 3G UMTS multimedia services. It is designed to reduce the overhead in terms of storage and bandwidth to allow video files to be handled by 3G smartphones, but some 2G and 4G phones use it as well. 3G2 is a multimedia container developed by the 3rd Generation Partnership Project 2 (3GPP2) for 3G CDMA2000 multimedia services. It is the updated version of 3GP which is designed for transmitting multimedia files on Internet or saving videos on cell phones. The 3GP and 3G2 both are based on the ISO base media file format. These two formats are designed to be extensible and flexible for interchanging and presenting media. The biggest difference is the 3GP was designed for GSM-based (Global System for Mobile Communications) phones and have the filename extension .3gp, while 3G2 format was designed for CDMA-based (Code Division Multiple Access) Phones and may have the filename extension .3g2. Part 3 Why You Need to Convert 3GP to other Formats? Below reasons will tell you why we need to convert 3GP videos. • 3GP file formats, are used on 3G-enabled mobile phones such as Sony, Samsung, LG, Blackberry, Palm and Motorola in particular. So if you want to play the videos in 3GP/3G2 format on iPhone, iPod, iPad, iTunes, iMovie, QuickTime, VLC, PS3, Xbox 360, etc. You have to convert them to another compatible format. • 3GP video is usually in low resolution, low frame rate, low quality and low bitrate. Compared to 3GP, many video formats feature the high playback quality to bring you a more stunning visual enjoyment. • 3GP file uses AAC, AMR for audio compression. But the AMR audio codec can't be supported by many players. Maybe you can't hear the sound when you playing 3GP videos on these players. According to the reasons above, you may wonder how to convert 3GP to other formats like MP4, AVI, MOV, MKV, etc. Video Converter Ultimate offers a simple and professional way to convert 3GP to various popular video formats. It aims to bring users a better experience in video conversion with fast conversion speed and high output quality. This 3GP video converter also provides a directly way to choose the devices as your output format while you don't know the compatible format. 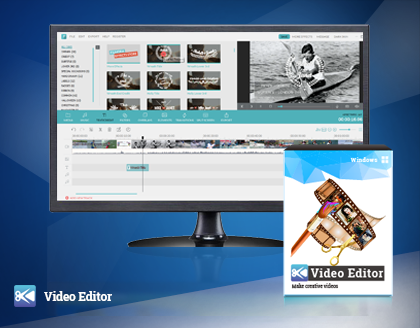 With this program, you can batch convert 3GP videos to save your time. Of course, you can convert other videos to 3GP format, download video from Facebook, burn videos to DVD, basic edit the video, etc. Click "Add File" button to import your 3GP file from your computer. If you want to add multi-files for batch conversion, you can repeat this steps to add all your 3GP videos. Press the drop-down icon of the output format to choose the format you wish to convert. Or go to device tab to select your device name. Click "Convert" button on the interface to start the 3GP conversion. Now I believe you can find the solutions when you receive the 3GP files from others. When you have the playback problem about 3GP, the simplest method is converting it to the compatible format by directly choose the device name.